WHERE HAVE ALL THE BIRDS GONE. Even allowing for the pressures of Xmas and the bad weather the few days I've been able to go out with the camera lately has been very poor with very few birds about.Also as far as I know nothing of note has been reported at any of the local patches. Often in the winter months I go on a local countryside drive which goes round Lapworth, Baddesley Clinton,Fen End etc. and stop off at several viewing spots.This has in the past been very rewarding but the two go's so far this winter have been very poor with little or nothing on show.Usually I can find flocks of winter thrushes but this year I've been lucky to find one.Got this lone Fieldfare on a berry tree in Four Ashes a few days ago. Late change : Just spotted the bird above is not a Fieldfare but a Mistle Thrush.I threw away the Fieldfare shots and posted the Mistle Thrush shots and didn't notice.What a burk ! ! The back garden and my neighbour's (we are all keen bird feeders) have been very poor so far this year with no winter Thrushes or Redpolls/Siskins turning up.Having said that I did have a nice surprise one dull afternoon just before Xmas when I spotted a Grey Wagtail feeding round my neighbour's new pond.A new one for the garden list.Took these shots through a top hung bedroom window. Yes I'm afraid I'm still struggling.My back which is much better is still damn painful when getting out of bed,getting out of chairs and getting out of the car.On monday morning whilst trying to get out of the car in Sainsbury's car park a small crowd gathered to watch and parents with children covered their eyes in they became psychologically scarred. I'm also struggling to find any decent birds locally to point the camera at.With nothing of note being reported at all my local patches I've restricted my trips out to my very local patch Marsh Lane. A Little Grebe showed quite well from the Oak hide which even in winter plumage look quite nice. On all 3 visits I only had a very brief glimpse of a Jack Snipe in the marsh from the oak hide which didn't hang about before scuttling away out of site.There is a bird that will hang about posing for shots by the oak hide and that's a female Pheasant. The car park pool on Friday morning had masses of Gulls,Ducks,Geese etc. showing (there must have been getting on for 200 Wigeon) but the only half decent birds I could find were 6 Common Gulls. One bit of excitement was when a Little Egret flew in and landed on one of the car park islands.That was the good news the bad was all it did was to stand still and preen.After half an hour now freezing cold I gave up on it and went home without getting a decent shot. A VERY COLD MARSH LANE. Went out birding Saturday lunchtime for the first time for a couple of weeks having been out of action with a bad back.What a wimp ! ! ! Decided to have a look down at my local patch Marsh Lane which turned out to be a very brave move because not only was the back still a bit stiff it was very cold with lots of ice on the pools. Took this shot of a Fieldfare a few days earlier.I've had trouble finding these chaps this winter so I was pleased to get this shot. Back to my Marsh Lane visit I was surprised to spot this Oystercatcher on the CP pool.It looked very miserable and hardly moved so no decent pics but still nice to see. Before I got frozen to the seat I left the CP hide and went down to the Oak hide where there were upto 20 Common Snipe at the far end of the marsh. Whilst desperately trying to ward off frostbite I was cheered up by spotting well hidden in the stubble this Jack Snipe. Whilst waiting for the Jack Snipe to move out in the open I spotted another Snipe a bit deeper in the reed bed and it was bobbing.Wow another Jack Snipe ! ! After a patient wait Jack Snipe 1 moved out into the open and crossed the marsh.Jack Snipe 2 didn't follow but stayed on the edge of the reeds. 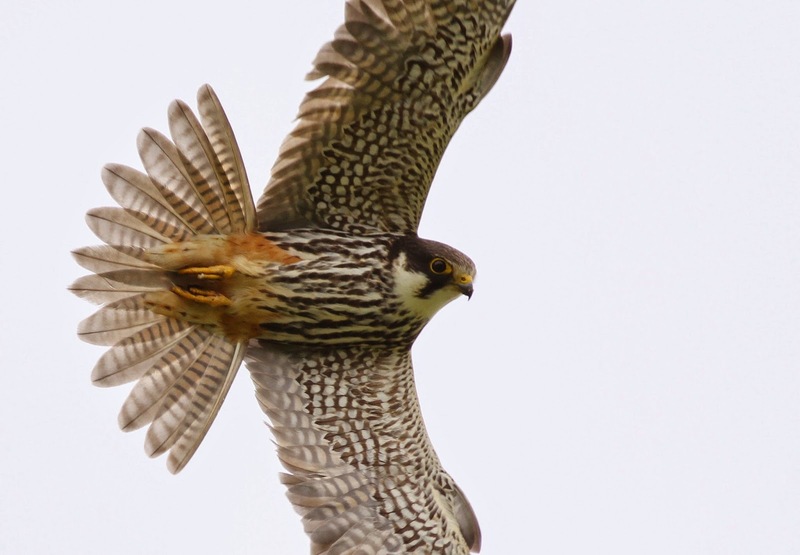 A LOOK BACK AT SOME BETTER BIRDS AT MARSH LANE. You can see I've not taken any shots of decent birds recently because in order to post a blog I've had to have a look back at some of the better birds I've seen at Marsh Lane. The reasons I've not been able to take any shots recently are The gloomy weather recently until today.The lack of decent birds locally.A bad back (a herniated lumbar disc) which I did on Saturday reaching for a pen would you believe so I've been housebound ever since. 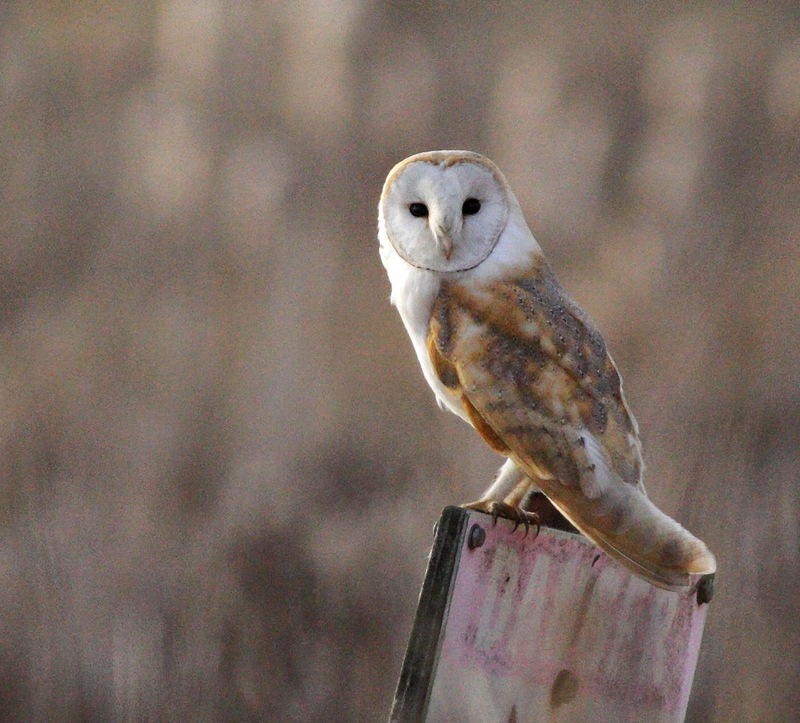 During the Winter in 2010 Marsh Lane was treated to regular visits by a very friendly Barn Owl who seemed to turn up at 3.30 PM from the direction of the railway bridges every day.Took this shot in March as it sat on a post near the river hide.Probably my best shot of a perched Barn Owl. Marsh Lane has regular visits by Black Tailed Godwits.This was taken in June 2011. This Cetti's Warbler was taken in the bushes to the right of the main path just before you reach the streamline.Taken in April 2010.A pretty rare bird at Marsh Lane. Marsh Lane has been a very good place to see Garganeys.The first shot was taken from the north causeway screen in April 2011 and the second shot was taken from the CP hide in April 2013. Had to wait nearly 3 hours one Sunday morning in June 2008 for this Grasshopper Warbler to show.It was in the bushes in the car park and was singing out but well hidden all the time.It was only because Steve Seal was also there that I hung on till it showed. 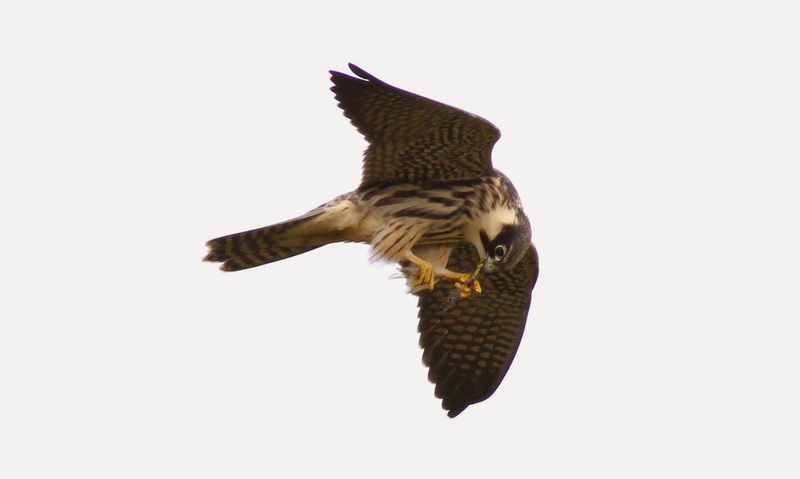 Hobbies visit Marsh Lane every summer and it's a wonderful challenge to try for a decent shot.I failed this year and only managed a few crappographs.The first shot was taken in June 2010 and the second one was taken in September 2013. Every year in August/September I try for flight shots of hirundines usually failing badly but this year managed a decent shots of a Sandmartin as it flew over the path leading to the CP hide. A bit of a cheat here because this shot of a Spotted Flycatcher was not taken at Marsh Lane but at the back of the gate lodge at Packington House.Both under Packington Estates ! ! Taken in June of this year. A drake Mandarin Duck was a regular on the Railway Pool last year.These shots were taken in March. Water Rails are often seen at Marsh Lane.This one was taken from the new north causeway hide in October of this year.Never been co close to one before. During January 2012 a Kingfisher was a regular on the CP pool very near to the north causeway screen.I've been lucky enough to get lots of shots of these chaps but I think this might be my best. Early one morning in May of this year I had a call from John Oates who had found a Bonaparte's Gull on the island in front of the CP hide.Having never seen one before I dropped everything and shot over there. Marsh Lane has been over the last few years one of the best places in the country for seeing Jack Snipes.Took this one in the marsh in April 2009. Not a great shot by any means but a bit unusual as in the same shot there is a Common,Arctic and an Little Tern.Taken from the Oak hide in May 2008. 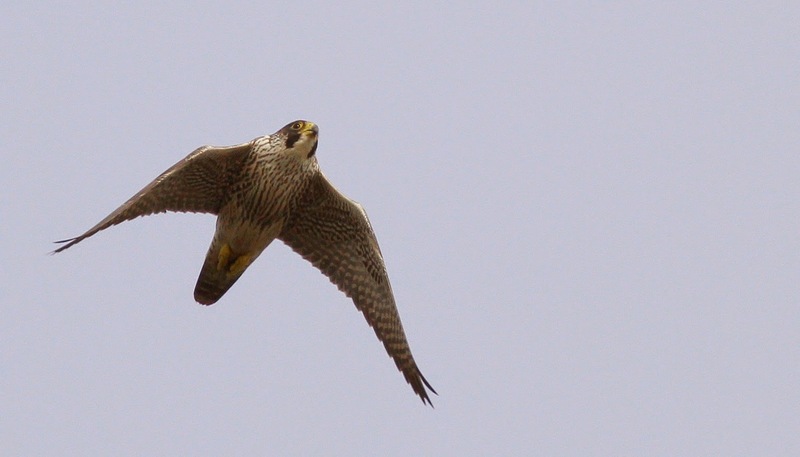 I don't get many shots of Peregrines so I was very pleased to get this one in October 2012 as it flew over the causeway. Again not a decent shot but a Stone Curlew is very rare bird to find in our area.This one turned up for a couple of days and was on the far edge of the crop field in May 2007.It was very difficult to see and much too far off for a decent shot. 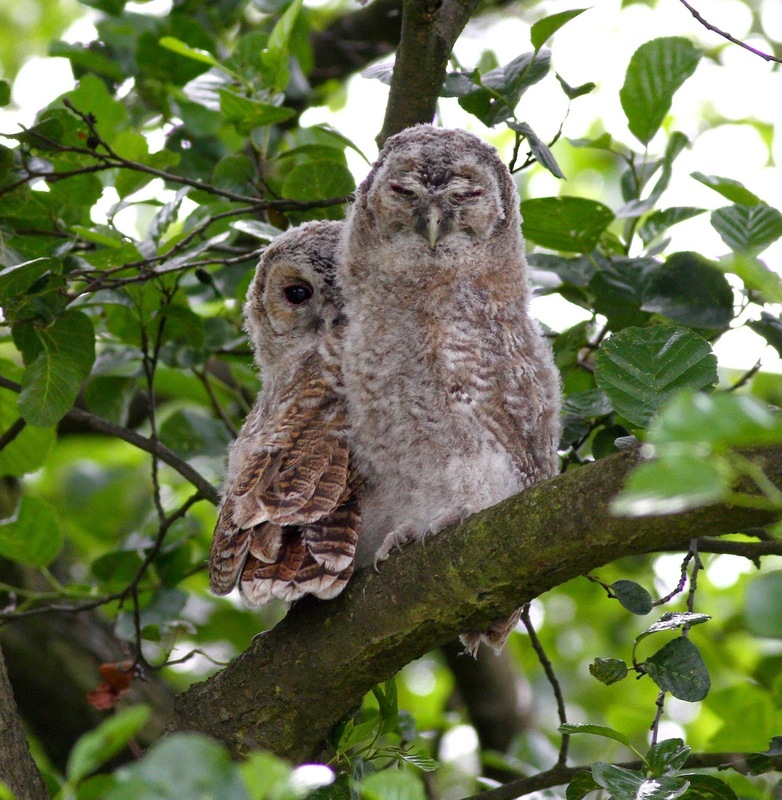 Tawny Owls have used an Owl box at Marsh Lane a couple of times.I was very lucky to find these two just after they had fledged in June 2011. A LOOK BACK TO WHEN DRAYCOTE WATER WAS GREAT. Not many blog reports lately not because I haven't been out with the camera but because I haven't been able to find any decent birds locally mind you the gloomy weather hasn't helped either. One of my favourite local patches until the last couple of years used to be Draycote Water (or in the winter months Ice Station Draycote).I have seen some cracking birds there over the years so I thought I'd remind myself and others what used to turn up there. A first for me was this Green Winged Teal that used to hang round Toft in April 2009. 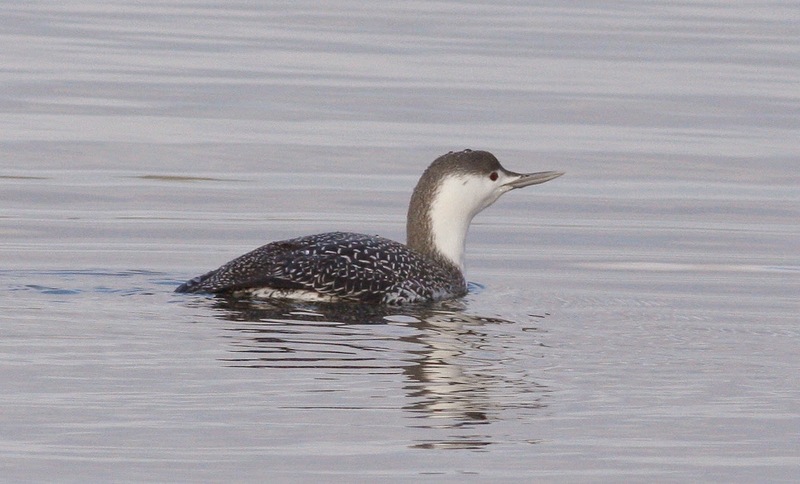 Every winter there'd be a Great Northern Diver or two there (the most I saw there was four).This shot was taken the end of last year.Let's hope one turns up this winter. This was also a first for me a Lesser Scaup that hung around Toft in October 2009. 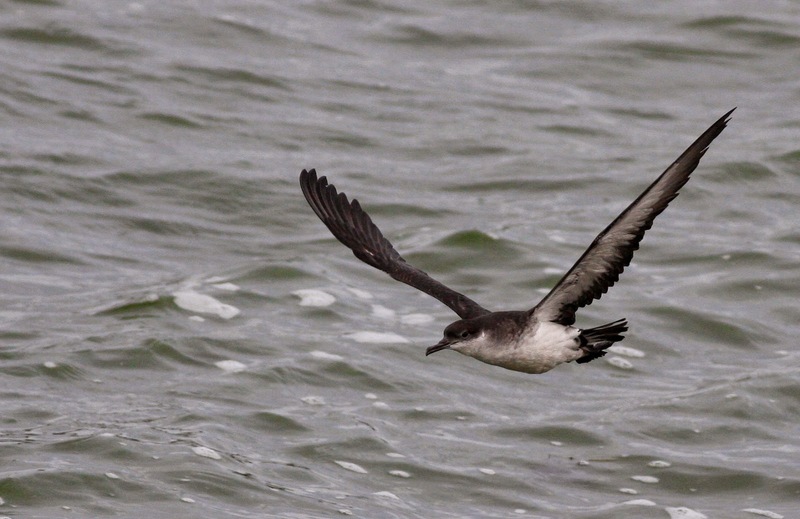 Another first for me was this Manx Shearwater that a friend and I spotted on the water just off the Farborough Bank in September 2009.We weren't sure what it was and I was lucky to grab some shots as it flew off. Very pleased to find this Pectoral Sandpiper was still on the Spit along the Farborough Bank in September 2009 because I'd been in Norfolk the week before and missed one.Yet another first for me. This Red Necked Grebe stayed for ages and you were able to see it's plumage change weekly as Spring approached.Taken in March 2009 from the Farborough Bank. Very lucky to be walking along the Hensborough on a bitterly cold morning in January 2009 when this Red Throated Diver for once came fairly close to the shore. Every year a drake Smew shows up here.This one was around in December 2009.Yet again taken from the Farborough Bank. Didn't believe a friend who text me she had heard that a Spoonbill was showing well by the Outlet one day in October 2011.Had to race over there when I later found the info was correct.